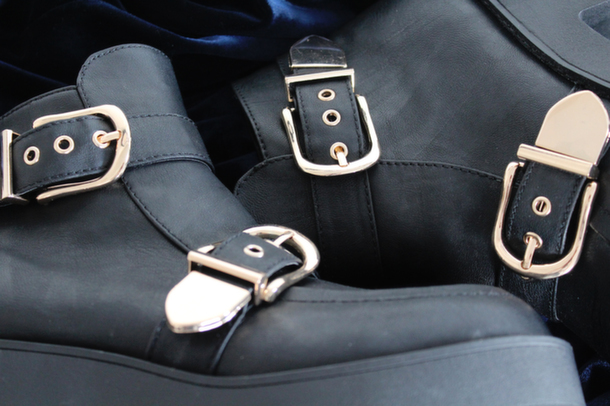 You guys know that I love items with a tougher edge to them in my wardrobe, and after finding these boots, I can safely say the love affair has only flourished more. 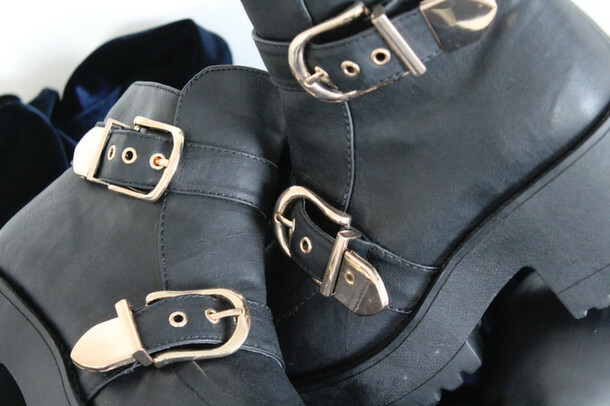 When I spotted these River Island boots in the sale recently, the first phrase that came to mind was cyberpunk. These to me are straight out of a futuristic movie, as they’re so bulky, in the best way possible, and look prime for stomping around and causing a scene. I love that they really slim down your legs, as in comparison to how clunky they are, legs look slimmer than normal. 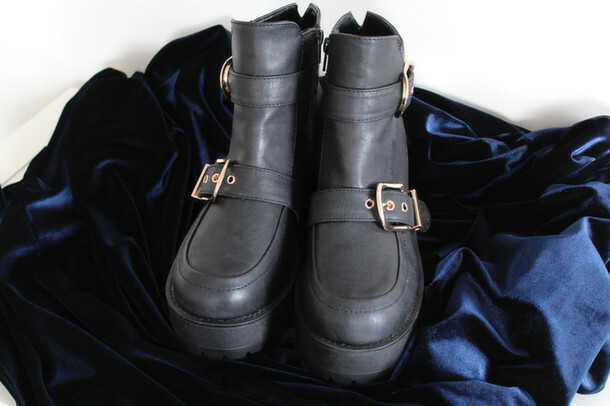 These ladies and gentlemen, were just £25 in the current River Island sale, and though they’re not online, I can tell you that they are in abundance in stores, I’ve spotted them several times since buying my own. What a bargain! 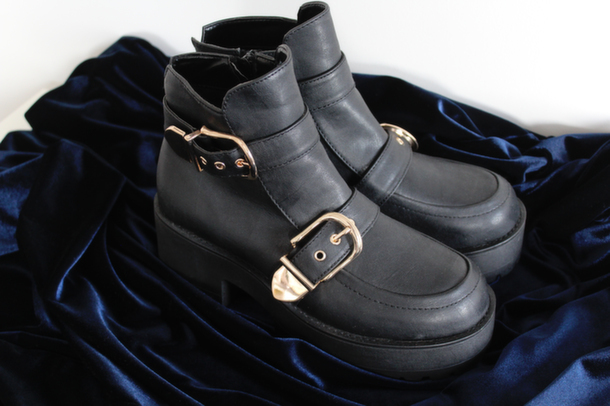 These remind me of the Jeffrey Campbell Coltranes, just without the cut-outs which I’m honestly not that big a fan of, I find them impractical, hence why I haven’t bought myself a pair! 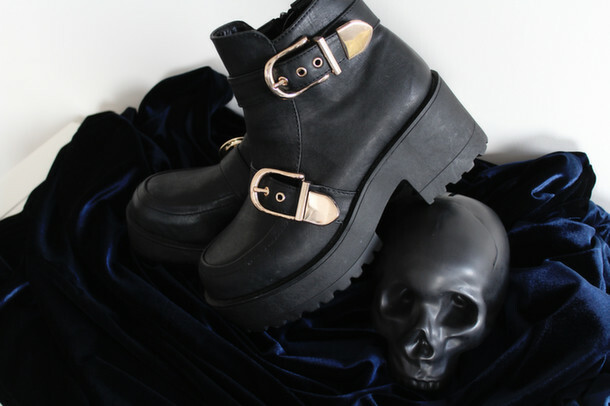 These though are much more wearable and affordable for me, so if you’ve been meaning to get on the badass boot bandwagon for some time, now’s your chance. These will go amazingly with all my grungy ensembles and I highly recommend running into RI and nabbing yourself a pair pronto.